For the Schiller International University in Germany, see Schiller International University. As of 2014[update], the university has around 19,000 students enrolled and 375 professors. Its current president, Walter Rosenthal [de], was elected in 2014 for a six-year term. Elector John Frederick of Saxony first thought of a plan to establish a university at Jena upon Saale in 1547 while he was being held captive by emperor Charles V. The plan was put into motion by his three sons and, after having obtained a charter from the Emperor Ferdinand I, the university was established on 2 February 1558. The university, jointly maintained by the Saxon Duchies who derived from partitioning of John Frederick's duchy, was thus named Ducal Pan-Saxon University (German: Herzoglich Sächsische Gesamtuniversität) or Salana (after the river Saale). Prior to the 20th century, University enrollment peaked in the 18th century. 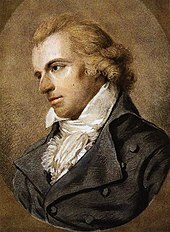 The university's reputation peaked under the auspices of Duke Charles Augustus, Goethe's patron (1787–1806), when Gottlieb Fichte, G. W. F. Hegel, Friedrich Schelling, Friedrich von Schlegel and Friedrich Schiller were on its teaching staff. Founded as a home for the new religious opinions of the sixteenth century, it has since been one of the most politically radical universities in Germany. Jena was noted among other German universities at the time for allowing students to duel and to have a passion for Freiheit, which were popularly regarded as the necessary characteristics of German student life. The University of Jena has preserved a historical detention room or Karzer with famous caricatures by Swiss painter Martin Disteli. In the latter 19th century, the department of zoology taught evolutionary theory, with Carl Gegenbaur, Ernst Haeckel and others publishing detailed theories at the time of Darwin's "Origin of Species" (1858). 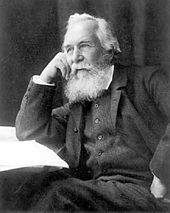 The later fame of Ernst Haeckel eclipsed Darwin in some European countries, as the term "Haeckelism" was more common than Darwinism. In 1905, Jena had 1,100 students enrolled and its teaching staff (including Privatdozenten) numbered 112. Amongst its numerous auxiliaries then were the library, with 200,000 volumes; the observatory; the meteorological institute; the botanical garden; the seminaries of theology, philology, and education; and the well-equipped clinical, anatomical, and physical institutes. After the end of the Saxon duchies in 1918, and their merger with further principalities into the Free State of Thuringia in 1920, the university was renamed as the Thuringian State University (Thüringische Landesuniversität) in 1921. In 1934 the university was renamed again, receiving its present name of Friedrich Schiller University. During the 20th century, the cooperation between Zeiss corporation and the university brought new prosperity and attention to Jena, resulting in a dramatic increase in funding and enrollment. During the Third Reich, staunch Nazis moved into leading positions at the university. The racial researcher and SS-Hauptscharführer Karl Astel was appointed professor in 1933, bypassing traditional qualifications and process; he later became rector of the University in 1939. Also in 1933, many professors had to leave the university as a consequence of the Law for the Restoration of the Professional Civil Service. Student fraternities - in particular the Burschenschaften - were dissolved and incorporated into the Nazi student federation. The Nazi student federation enjoyed before the transfer of power and won great support among the student body elections in January 1933, achieving 49.3% of the vote, which represents the second best result. Between the Jena connections and the NS students wide-ranging human and ideological connections were recorded. When the Allied air raids to Jena in February and March struck in 1945, the University Library, the University main building and several clinics in the Bachstraße received total or significant physical damage. Completely destroyed were the Botanical Garden, the psychological and the physiological institute and three chemical Institutes. An important event for the National Socialist period was the investigation of the pediatrician Yusuf Ibrahim. A Senate Commission noted the participation of the physician to the "euthanasia" murders of physically or mentally disabled children. In the 20th century the university was promoted through cooperation with Carl Zeiss (company) and also became thereby a mass university. In 1905 the university had 1,100 students and 112 university teachers, so this figure has since been almost twenty-fold. The Thuringian State University is the only comprehensive university of the Free State. 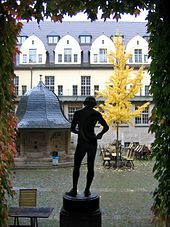 Since 1995, there is a university association with the Martin Luther University of Halle-Wittenberg and the University of Leipzig. The aim is firstly to give the students the opportunity to visit with relatively few problems at the partner universities and events in order to broaden the range of subjects and topics. Currently e. g. has joined a cooperation in teaching in the field of bioinformatics. In addition, the cooperation provides the university management the opportunity to share experiences with their regular meetings and initiate common projects. So z. B. went from the successful bid to the German Centre for Integrative Biodiversity Research (iDiv) from the University network. The co-operation continues at other levels: for example in a joint mentoring program for female postdocs or in the central German archives network. And last but not least, there are common sports activities. Since October 2014, the pharmacologist Walter Rosenthal is the president of the University; Chancellor is since 2007 the mathematician Klaus Bartholmé. SFB/TR 7 "Gravitationswellenastronomie: Methoden - Quellen - Beobachtung"
SFB 1076 "AquaDiva : Understanding the Links Between Surface and Subsurface Biogeospere"
SFB/TR 124 FungiNet "Pathogenic fungi and their human host: Networks of interaction"
SFB 1127 "Chemische Mediatoren in komplexen Biosystemen"
SFB / TR 166 "Hochleistungs-Lichtmikroskopie zur Aufklärung der Funktionen von Membranrezeptoren (ReceptorLight)"
In 2006 the research center, Jena Center - History of the 20th century, was founded. In 2007 the graduate school "Jena School for Microbial Communication" (JSMC) was established within the German Universities Excellence Initiative. In 2008 the Center for Molecular Biomedicine (CMB) and the interdisciplinary research center Laboratory of the Enlightenment were developed as research institutions. 2014 the "Center of Advanced Research" (ZAF) was established. Jena University is one of the founder of The German Centre for Integrative Biodiversity Research (iDiv) Halle-Jena-Leipzig, that was founded in 2013. It is a research centre of the German Research Foundation (DFG). Friedrich Schiller University is the only German University with a chair for gravitational theory and one for Caucasus Studies. Francis Lieber, emigrant to USA, author of "Lieber Code"
Among the collections which are open to the public are the Phyletic Museum [de] (Phyletisches Museum), an institution which is unique in Europe for illustrating the history of evolution, the Ernst-Haeckel-Memorialmuseum, the Mineralogical Collection which traces its roots back to Goethe and the second oldest Botanical Garden of Middle Europe. The Schiller Gardenhouse [de] (Schillers Gartenhaus) and the Goethe Memorial at the Botanical Garden are reminders of the two towering geniuses of Jena. Both buildings are also open to the public. ^ "Budget and Infrastructure". University of Jena. Retrieved 2017-04-20. ^ a b "Staff". University of Jena. Retrieved 2017-04-20. ^ "Student Statistics". University of Jena. Retrieved 2017-04-20. This article incorporates text from a publication now in the public domain: Chisholm, Hugh, ed. (1911). "Jena" . Encyclopædia Britannica. 15 (11th ed.). Cambridge University Press. p. 315.